PyCon Ukraine is an annual conference dedicated to Python programming language. 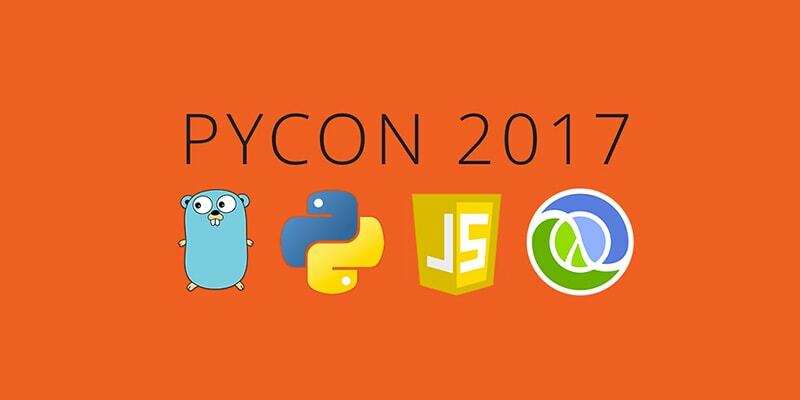 PyCon conferences are independent, fun and non-profit events held by passionate Python developers community. What’s in it for you? Well, all kind of Python-related stuff, from tools and applications to databases and frameworks. Besides, such kind of events provides Python people with a place for socialization. Our Senior Python Developer Oleh Marshev joined the conference to check how Python community has grown over a year. Edgica is always monitoring such kind of events to stay in touch with always-changing trends of IT industry. Also, Edgica supports Ukrainian IT community growth, because well-established IT community ensures competitiveness growth in the whole industry. PyCon 2017 was held for two days (April 8, 9), welcoming more than 700 attendees with up to 30 speakers. Organized by Kyiv Python Group and Lviv Python Group with a partner support from Instagram, Sportech, Intellias, SoftServe, Sigma Software and several more, this year’s event took place at Arena Lviv Stadium. Programmers and technical experts from Europe and USA joined the conference to share knowledge, trends, and lifehacks. After registration and coffee break, Hynek Schlawack (Berlin, Germany) opened the conference with his “Solid Snakes or: How to Take 5 Weeks of Vacation” topic. Proud member of the Python Software Foundation, Hynek is known as an active committer on Twisted and CPython. His speech was fun, dynamic and spirited. There was an aim to put all attendees in a good mood, and that’s where Hynek delivered high-quality fun to the audience. Joshua Loyal (USA), the Data Scientist with Yale M.S. graduation, was the next speaker. Joshua works for DataRobot company, and his speech on machine learning and open source Python libraries was the word of a real expert. His speech covered the topic of image recognition software products, which is one of the most trending things in IT industry to date. Oleh Marshev (Edgica) mentioned Joshua’s presentation as one of the most interesting within the conference. There was another speech that we consider attractive “When Artificial Intelligence Falls into the Woman’s Hands” by Tetiana Kodliuk. It was about textual content generation via AI, and listeners were blown away by how AI technology can help in making compelling content. The future is almost now, and maybe soon we won’t need too many writers. and “Find insights in graphs with Python” by Ievgen Terpil. Andrew Godwin opened the second day of the conference with his Scaling Django With Distributed Systems speech. He was followed by Alexander Solovyov and his Technology to the Rescue speech that covered “Legacy platforms in your business” topic. Alexander shared a light on the issue of switching the obsolete platforms without serious risks. And there were other speakers too. Roman Podoliaka told a story regarding debugging of Python with gdb, while Andrew Svetlov talked about making OSS library. Artem Malyshev expressed his thoughts on REST APIs and GraphQL. Dmytro Nikolayev told the audience the story of one healthcare data import. Igor Davydenko shared a presentation on “API Wars: Episode X – GraphQL” topic. Vitaliy Kharitonskiy told a Go and Python migration story. Alexander Zayats shared experience on building the project for Open Source community. This year’s conference was even more sophisticated and compound. Filled with sharing, caring and discovering, PyCon enabled a platform for opinion exchange and socialization where Python people of Ukraine, Europe and US were happy to stay within two days. Held in a beautiful Lviv, PyCon assured new communication channels for its attendees. The only thing to regret? Such conferences should occur more often!